Nane Hotel makes part of the Gyumri Commercial Center, a big complex that houses diverse facilities and services including Shara Restaurant, Di Napoli Pizzeria, Le Café (open-air café), Tango Hairdressing Salon, Air Ticket agency, numerous commercial stores and magazines. The Commercial Center itself is situated within a walking distance from the downtown area with its museums, ancient churches, art galleries and other venues of attraction and entertainment. individually controlled air-conditioning, remote control LCD TV with satellite channels, bathroom with shower, direct dialing telephones, hair dryer, Wi-Fi internet access and an electronic safety box. 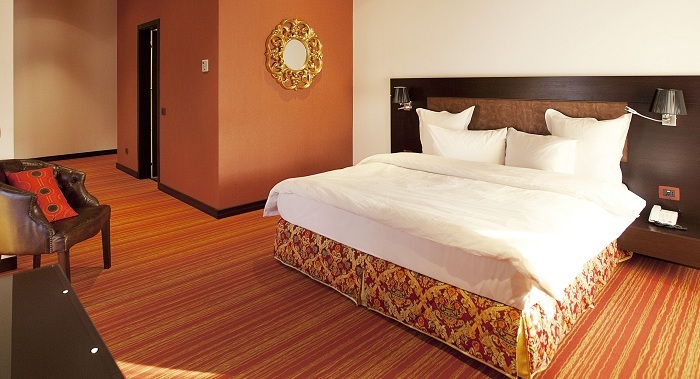 The queen-size bed can be separated to form a twin room upon request. The hotel is a non-smoking area altogether. 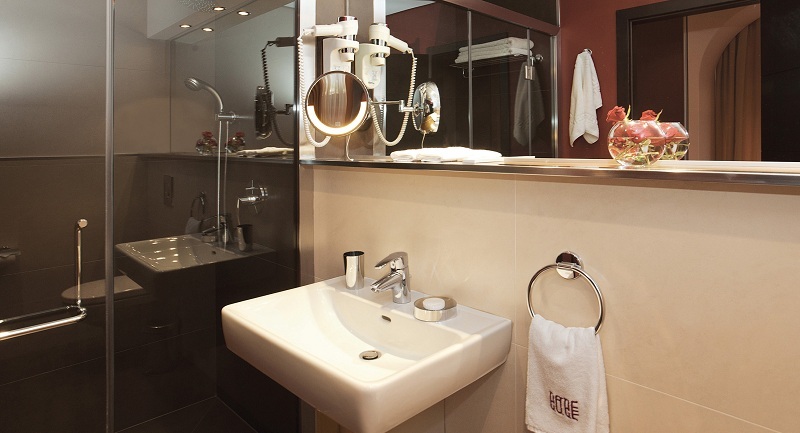 Additionally, the hotel features laundry services, free parking, luggage storage facilities, etc. The conference facilities at Nane Hotel include a small Conference Hall that can accommodate up to 25 delegates. The conference hall includes all the standard equipment; however the hotel will arrange for any other extra services requested. The meeting room can be rearranged to organize cocktail parties or banquets with the experienced staff at your disposal. Hotel Nane features the Shara Restaurant where an abundant complimentary breakfast is served every morning. Besides, the restaurant invites you to taste various local and international dishes. If you are a lover of Italian cuisine in particular, Di- Napoli Pizzeria welcomes you to taste a wide variety of pizzas and pastas. The open-air Le Café offers light snacks and refreshments to enjoy in a relaxing friendly atmosphere.